Dog owners know the struggle of dealing with picky eating habits. Even the heartiest of eaters will go through a phase where they just do not want what’s in their bowl. This makes us feel bad. We want to see them healthy and happy and we usually associated that with enthusiastic eating. This is one thing that many small dog owners caught onto early, is that enthusiastic eating doesn’t mean a happier furry pal. Which brand is the winner? Although small breeds are known to be picky, this dog habit isn’t specific to those breeds only. How do you deal with a picky eater? It can be a frustrating and mind-boggling process. But, there are a lot of options out there now that seem to cater to this strange dog habit. However, unlike us, dogs do not usually make decisions on what they eat on a whim. We have to plan it for them. So dealing with a picky eater solely rests on our shoulders and yours as well. A few of these would have been good to know when my beagle decided she only wanted avocados that fell off the tree! We couldn’t keep her away from them and her food went untouched for weeks. All the while she gained a ton of weight, but her coat looked amazing! If your pup is not searching out a better option in the backyard, odds are one of these options will work for you. There are also some tips and tricks to encourage a fussy eater. We’ve done all the research for you so that you can spend more time with your furry friend than online trying to solve their eating problem. Here are five recommendations which target building nutritional intake with the goal of stimulating your dog’s interest in food or their appetite. These are all focused on quality nutrition through simple ingredients. This means there’s less for your pup to dislike. We also included some canned varieties as we see more and more dogs becoming lazy with chewing. How does each of these measure up to each other? This formula, brand, packaging, the whole works is unlike any other dog food. It’s dehydrated which means you need to mix it with water shortly before your dog’s regular feeding time. A quick note on feeding times! Dogs are creatures of habit and they work best when on a schedule. Although we understand their perception of time is either non-existent or greatly different from their own, their tummy knows a schedule. Keeping your pup on a regular feeding schedule and help their picky eating habits by catching them when they’re most hungry! Back to Honest Kitchen’s, what do they offer? The elimination of by-products and balance of carb to the protein means your pet may be getting a lot more protein than they are used to. Usually, we see a spike in energy with lean proteins and that essentially boils down to an increase in appetite. The Honest Kitchen is a little different than what most pet owners are used to; it’s also kind of pricey. But it’s worth the time, and money if it means your dog is being enticed to eat. This famous celebrity chef has a soft spot, and a foundation, for animals. But loving animals doesn’t mean that when she made a pet food line she gave up her flair for creating delicious meals. We haven’t seen feedback yet that says their picky eater refused Rachel Ray, although your pup could be the first! What does she have to offer? This is a very reasonably priced dog food. The ingredients list for Rachel Ray’s Nutrish Naturals is always really short. Not only because they focus on quality proteins but because they eliminate a ton of fillers. Your dog may be unhappy with the traditional option of dry dog food in general. Needing a canned variety can mean a slight increase in your dog’s food budget. But isn’t it worth it? This is a completely reasonable price for canned-dog food. Additionally, Natural Balance strives to deliver simple ingredients. So while other is cutting back the number of ingredients on their list, Natural Balance is making each ingredient more meaningful. Using less processing and fewer chemicals means your pet may be more inclined to give this wet food a try. As it may remind them more of something they would eat in the wild rather than the chicken mesh they get in some dog foods. Pinnacle is one of those top brands that people rave about. Why don’t we see what all the fuss is about? Maybe your pup just has that need for the unique! This is one of the wet food varieties here and there is also a Pinnacle dry dog food option. However, the dry dog food is currently unavailable. We hope that’s an indication of how much dogs love it. But, overall this is a very pricey option that doesn’t offer anything really different from what the other options do. Of course, the proteins are responsibly sourced and focused on one protein type and one vegetable type. We’ve seen before this can mean a more distinct flavor for your dog to latch onto. However, where this brand adds a lot of minerals and vitamins to supplements rather than quality ingredients. This brand takes the challenge of removing the unnecessary, leaving only what your dog would desire naturally. What does this mean? By using one animal protein and one vegetable your dog gets a clear flavor profile and a lot of energy. This formula is also packed with oil-rich proteins throughout its many options. The animal protein options they have are a duck, lamb, salmon, and two kinds of turkey. These proteins are mixed with hearty vegetables like sweet potato to ensure that the proper vitamins and minerals are not being excluded. The only downside we could find is that there is tapioca. This can discourage some pet owners but many are not bothered by it. Rachel Ray has stepped up the less expensive dry dog food expectations. Now brands like Purina and IAMS really have someone to compete with. However, she continues to deliver a variety of options and well-developed formulas that are simply outperforming most other dog foods. She caters towards the pet owners preferences too. Although this formula is not entirely grain free she keeps those options available. The variety she offers is not “limited” to grain-free or not. This brand presents different flavors that build to picky eaters preferences. If you know that your fussy friend prefers lamb or duck it’s available. So whenever your dog decide they are over what you’re giving them now you can change flavors without changing formulas. This formula, regardless of which flavor your dog desires, is very dense with nutrients. 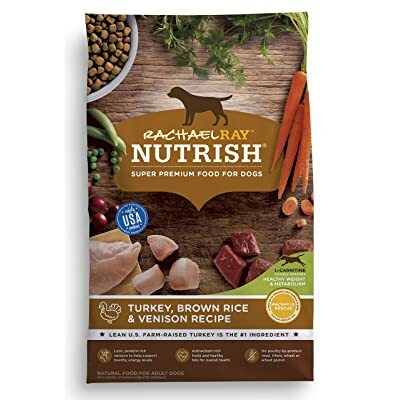 Rachael Ray’s Nutrish Naturals were built with the focus on high-quality proteins. 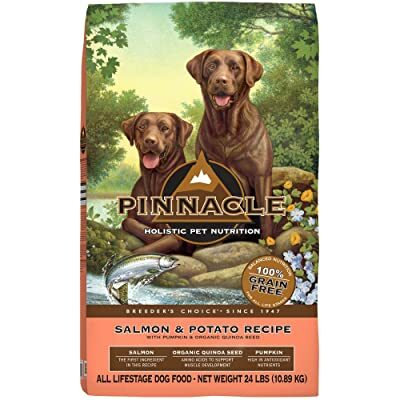 What this means for your dog is that they are getting all of the Omega-3s, Omega-6s and essential vitamins that are lacking in most other dog foods. The high-quality of the ingredients fuels overall healthy and can help stimulate appetite. Now, you may or may not know, but fillers are usually the bulk of dog food. They use hard to digest and frankly, unappetizing fillers like corn meal or corn grain. Usually, these grain fillers far outweigh the amount of protein or vegetables. So by bringing the focus back to protein and veggies, you get a formula that naturally increases dog’s energy and appetite. It also helps them promote healthy muscle building and easy digestion. 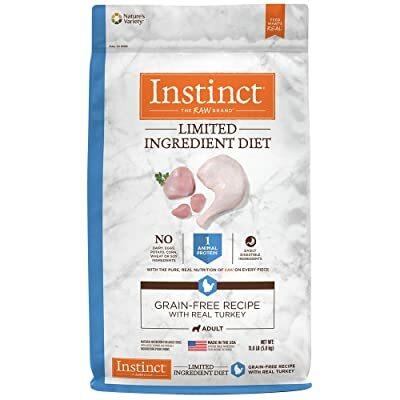 What makes Nature’s Variety Instinct line so different from the other options for picky eaters are there hyper-concentrated ingredients list. This means you know exactly what they are, and aren’t getting. Hopefully, your picky friend can tell the difference too. Unnecessary preservatives, chemicals, and chemical treatments have been completely eliminated. These have been found to be deterrents for picky eaters. That specific preservative and chemicals found in dog foods create aversions. What this means for picky eaters is that if there was a particular chemical they were shying away from, then you do not have to worry about it anymore. Picky eaters often have underlying reasons for their decisions. Besides flavor preferences or outright weird dog behavior, they have much stronger senses than we do. They also take a much better stance usually on what they will and will not eat when it comes down to nutritious food. So, Natures Variety Instinct is pretty expensive so far as dry dog food goes. Now, if this were canned or made for a specific age range or breed it may be a different story. However, we have seen in the past that these one-size-fits-all dog foods can be lacking for your breed or age group. If your pet will eat this then, by all means, let your picky eater call the shots on their food. But, we do not want them missing out the opportunity to have something better for your dog’s specific needs. The second downside here is that the kibble is medium sized. This means that small breeds, which are known to be picky, might have issues eating it. Often breeds with short or up-turned muzzles require small kibble to help them grab onto it. If it’s difficult for your dog to eat in general, odds are they may turn away from it even if they do like it. This free from grains, preservatives and so much more formula is reasonably priced and known to cater to picky eaters. 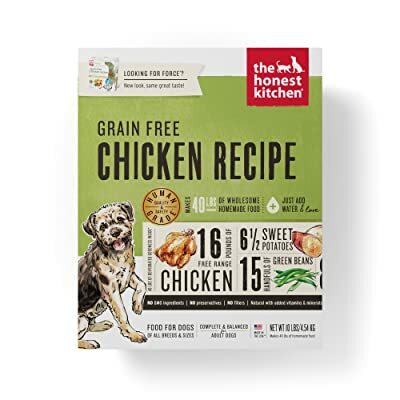 By giving all the flavor options you could ever ask for this particular canned dog food is great for the fussy and finicky friend. They use simple ingredients with a focus on keeping each minimally processed. They also load up on vitamins and are AAFCO approved! 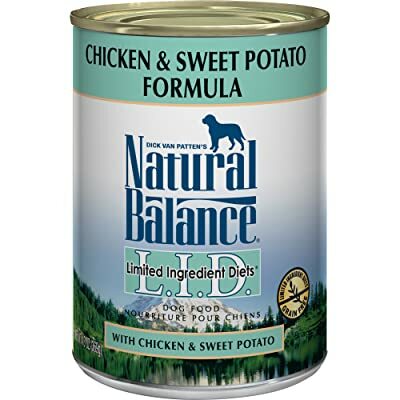 Natural Balance Limited Ingredient Diet Canned Dog Food. What did we mention above in the benefits? We wanted to save the best for last is the texture. Although some count this as a con, it is rather thick, does not have gravy and is chewy. Which means that it can help encourage picky eaters and lazy chewers to exercise those jaw muscles? This is a great option for any breed size as you are not relying on kibble too. The home run with this formula is beside the fact that many picky eaters have taken it as their brand of choice, they offer balanced nutrition. Many times picky eaters will be satiated with high protein options to fill them faster. However, Natural Balance works to create a harmony between protein, vegetable, and carb. A balanced meal that is right for your dog can help boost energy and appetite.